The large sunfilled room is situated on the first floor, no stairs! 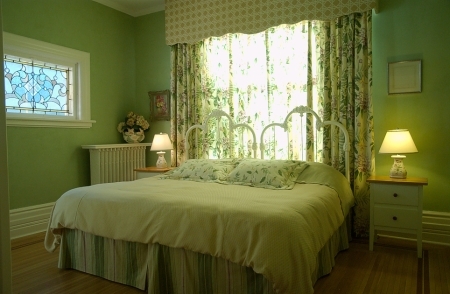 The floral comforters enhance the colours of the leaded stain glass window. 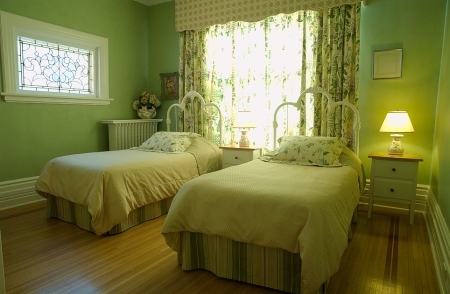 This bright room offers twin beds or one king and an ensuite shower with seat.